I first encountered an early version of this book about 6 years ago on Authonomy.com, so I was happy to find it (and its sequels!) available for purchase. This is a long book but rarely slow, filled with action, cultural detail, and well drawn characters. The opening expertly integrates setting with character with action, as young Prince Falath is caught in an avalanche and nearly goes over a cliff — and almost wants to. Hints of tension in his family and the kingdom to which he is reluctant heir, as well as to the malady that is slowly killing him, hooked me and kept me turning the pages. A chance encounter with Airen, a mysterious young healer from a foreign land, solves one of Falath’s problems but introduces another: sorcery is capital offense in the land of Dinith, and the royal family (including Falath) has strange abilities that must be kept secret. A coup soon has Falath on the run with his kinsman Rollo and their new friend Airen. A series of captures and escapes keeps the tension high as our heroes encounter new allies and enemies. 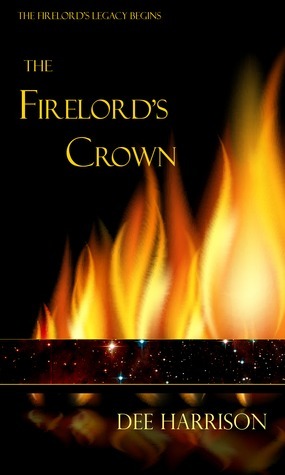 When Falath learns that more than the fate of his own kingdom is at stake, he joins Airen’s quest to return the lost piece of the Firelord’s Crown to the healer’s homeland, where Falath can wait the opportune moment to return and claim his throne. This first volume ends with a perhaps-literal cliffhanger, leaving the reader panting for more. Fortunately, several of the planned 5 volumes are already available, so you won’t have to wait.